Trichomonas vaginalis causes trichomoniasis in humans, a sexually transmitted disease commonly treated with metronidazole (MTZ). MTZ is known to cause undesirable side effects, and MTZ-resistant parasites have been reported. Thus, the development of an alternative treatment is desirable. Miltefosine (MLT) is an alkylphosphocholine synthetic lipid analogue that displays antiparasitic activity against Leishmania, Trypanosoma cruzi, Entamoeba histolytica, Acanthamoeba spp., Giardia lamblia, T. vaginalis and some fungi. Moreover, it has been used for oral treatment of visceral leishmaniosis in several countries. Here, we analysed the MLT-induced antiproliferative effect on T. vaginalis as well its effect on the fine structure and viability of the parasite. We observed a dose-dependent effect with an IC50 of 14.5 and 20 μM after 24 and 48 h, respectively. Furthermore, reversibility assays demonstrated that new incubations were necessary in order to maintain the antiproliferative effect. Ultrastructural analyses demonstrated that MLT induced several alterations, including the appearance of wrinkled and rounded cells, membrane blebbing, intense vacuolization and nuclear condensation, all indicative of cell death by apoptosis. 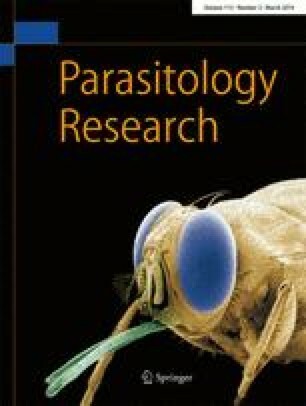 In addition, the quantitative analyses of the viability assays using combined markers of live and dead cells demonstrated that treatment with the IC50 concentration of MLT significantly reduced the number of viable parasites compared with untreated cells. Taken together, these observations suggest that MLT is a promising compound for the treatment of trichomoniasis. This work was supported by Conselho Nacional de Desenvolvimento Científico e Tecnológico (CNPq), Programa de Núcleos de Excelência (PRONEX), Fundação Carlos Chagas Filho de Amparo à Pesquisa do Estado do Rio de Janeiro (FAPERJ) and Associação Universitária Santa Úrsula (AUSU). The experiments comply with the current laws of this country.